The castles of Cyprus are rich in history, full of mystery, and unique in appearance and serve as major tourist attractions in the country. 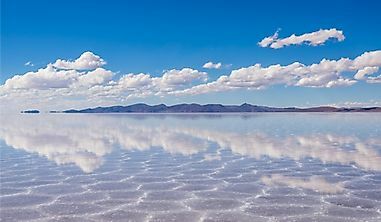 Located in the eastern Mediterranean is the Republic of Cyprus an island country and the third most populous and third largest Islands in the Mediterranean. Cyprus is bordered by Greece, Israel, Turkey, Lebanon, Egypt, Syria, and Palestine. Tourism in Cyprus holds a dominant place in the economy. The castles of Cyprus are rich in history, full of mystery, and unique in appearance and serve as major tourist attraction. The Saranta Kolones Castle is situated north of the Paphos harbor and is a ruined fortress of the medieval ages found in the Paphos Archeological Park. 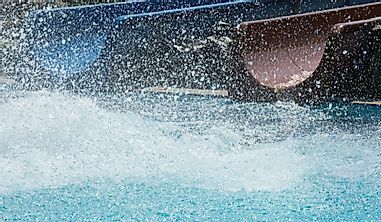 The park is believed to have been built by the Byzantines in the 7th century to protect the city of Nea Pafos and the port from Arab raiders. The castle consisted of a three meters thick wall and four huge towers on the corners and four other towers along the joining walls that surrounded the castle. 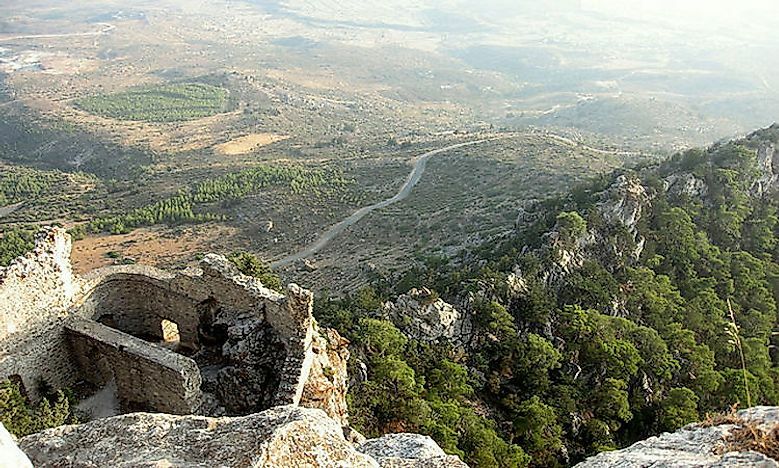 Located on the Kyrenia mountain range, Saint Hilarion castle was originally a monastery built in the 10th century. Under the Lusignan rule, the castle had three wards that served different purposes, and the upper ward sheltered the Royal family while the other two served economic purposes. The castle is featured in a 2016 thriller called The Apocalypse Fire. 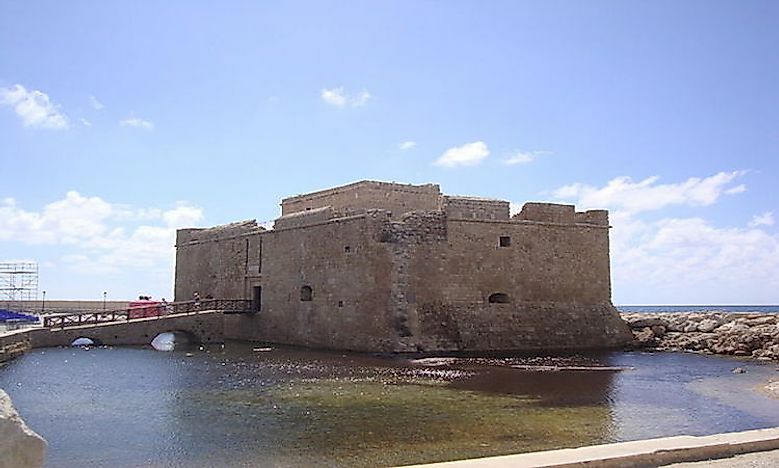 Located on the edge of the Paphos harbor is the Paphos castle which was originally built by the Byzantines to protect the harbor. The castle was later rebuilt in the 13th century by the Lusignans after it was destroyed by an earthquake. 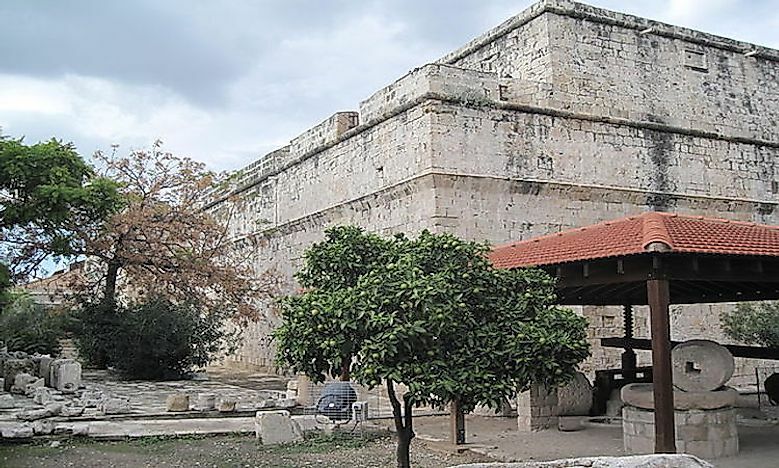 The castle was later restored and fortified by the Ottoman and served as a fortress, prison, salt warehouse, and recently as a venue for the annual Paphos cultural festival. 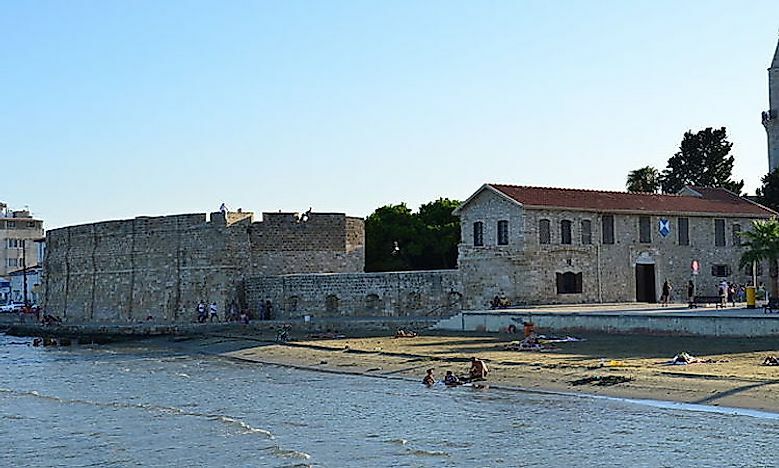 The Limassol Castle is located in the heart of the historical center of Limassol city near the old harbor. 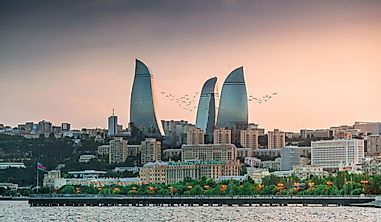 The castle was built in the 12th century and later rebuilt in 1590 under the Ottoman rule period. 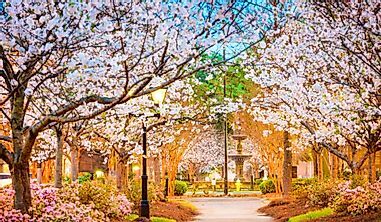 The castle is believed to be the wedding place of Richard the Lionheart and Berengaria of Navarre. 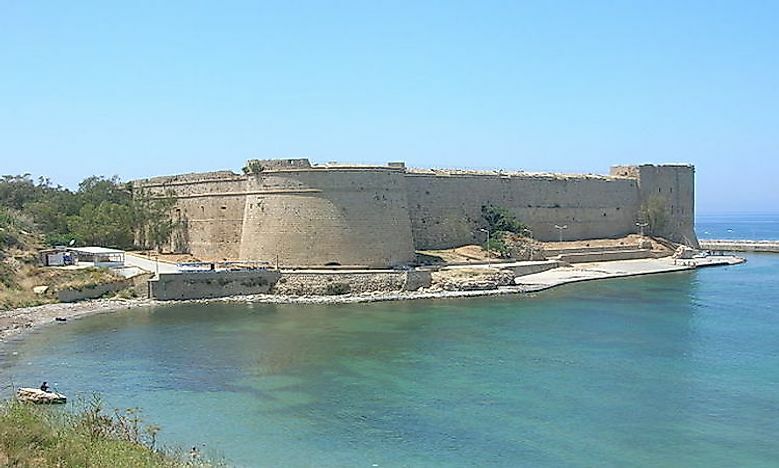 Located on the southern coast of Cyprus is the Larnaca Castle established in the 12th century. 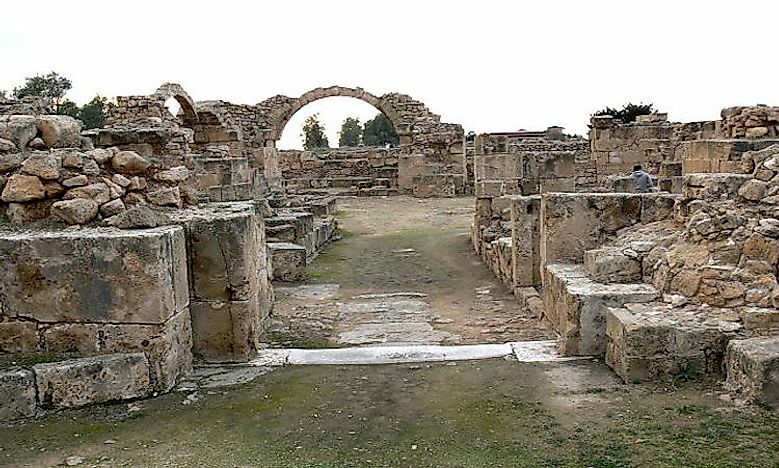 It was built to defend the south coast of Cyprus and the Larnaca harbor town. The castle was later used as a prison, artillery station, and currently a museum. Located on the east end of the old Kyrenia harbor is the Kyrenia castle that traces its existence back to the 7th century built by the Byzantines to guard the castle against the Arab threat. 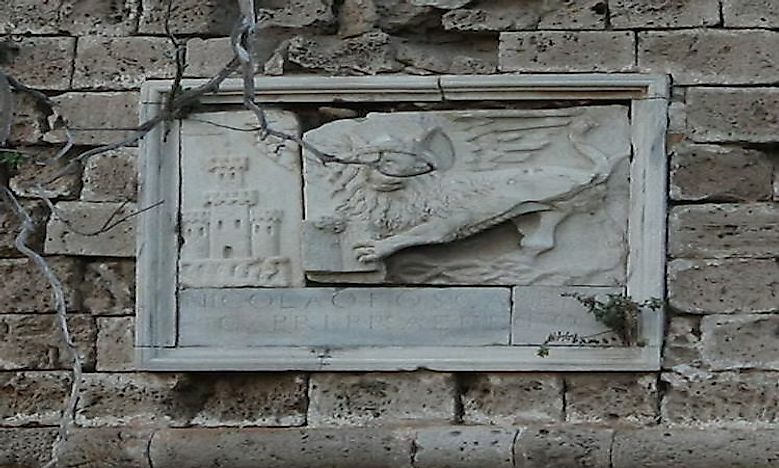 The castle contains the Shipwreck Museum and a 12th-century chapel that showcases late Roman capitals. Located on the east end of the old Kyrenia harbor is the Kyrenia castle that traces its existence back to the 7th century built by the Byzantines to guard the castle against the Arab threat. The castle contains the Shipwreck Museum and a 12th-century chapel that showcases late Roman capitals. 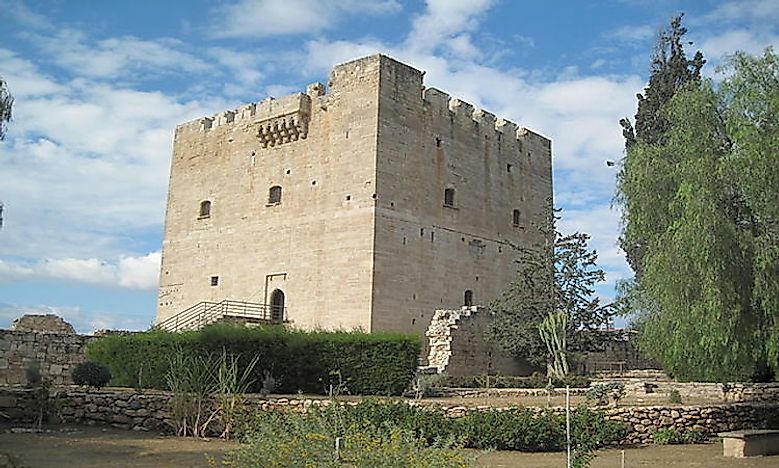 The Kolossi Castle is located on the western side of the city of Limassol and is a former crusader stronghold of the village of Kolossi. 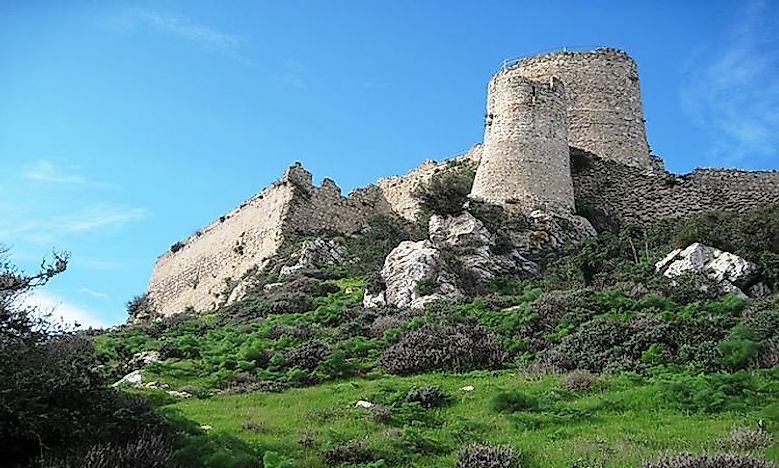 The castle was built in the 13th century and had extensive facilities that were used for the production of sugar by using local sugarcane which was one of Cyprus’s main exports at the time. 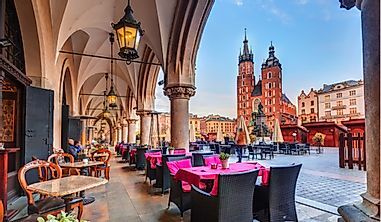 The area around the castle is also known for its wine. The Kantara castle is located in the easternmost part of the Kyrenia Mountain range in the Cyprus Island. Kantara is a derivative of Arabic word meaning bridge as it controls the entrance to the Mesaoria and Karpass Peninsula. The castle was built in the 10th century by the Byzantines as a lookout post from Arab raiders. 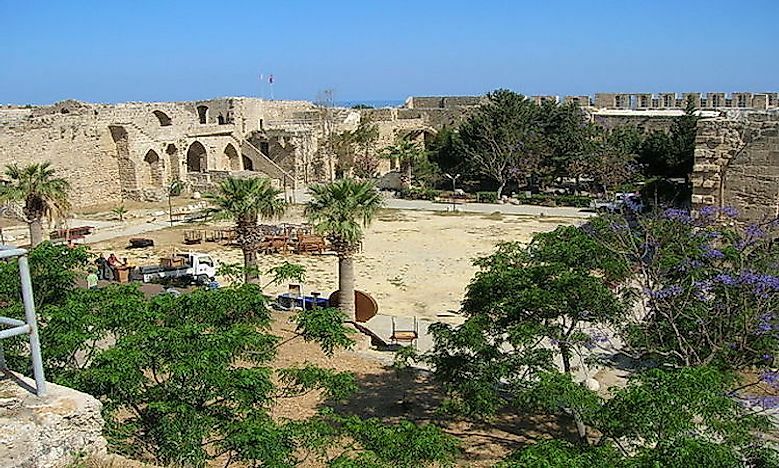 The Famagusta castle also known as the Othello Castle is located in Famagusta, Cyprus and was built in the 14th century by the Lusignans and later modified by the Venetians. The castle was established to protect the port from enemy attacks and was given the name impenetrable fortress since it was nearly impossible to attack due to the very deep ditches around it. In 1900 the ditches around the castle were drained to reduce the risk of malaria. 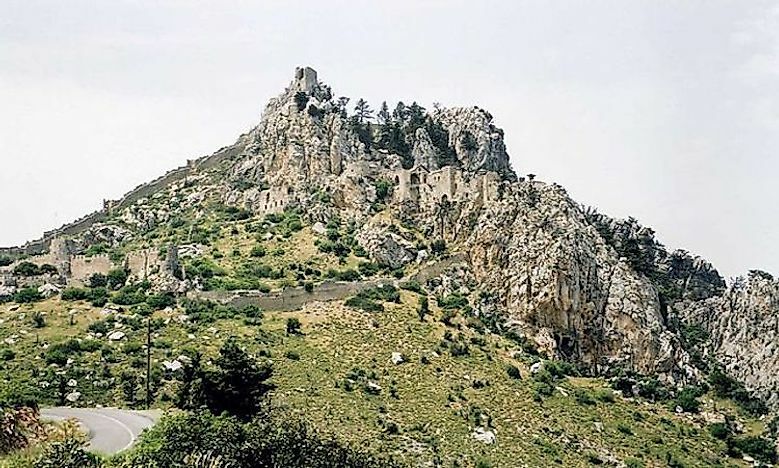 Located in the Kyrenia mountain range in Northern Cyprus is Buffavento Castle which means ‘Defier of the Wind' in Italian depicting that the winds at the castle's location can reach high velocities. 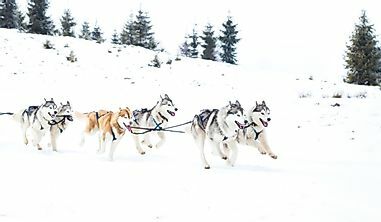 The castle was built in the 11th century and is irregular in shape making use of the mountain for defense and was used as a prison in the 14th century.